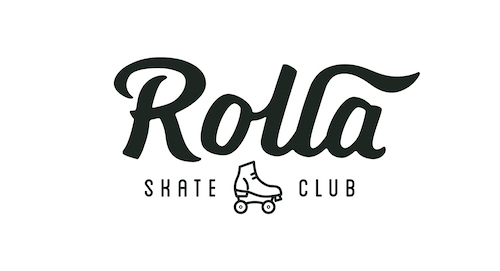 Rolla Skate Club is committed to protecting the personal identifiable information that you share with us online. Generally, you can browse our website, www.RollaSkateClub.com (this “Site”), without sharing any personal information. However, should you wish to retain access (download) our periodical, proprietary and confidential resources (the “Resources”), subscribe to our newsletter, submit a form, make a purchase, or participate in coaching or training programs, you will be required to voluntarily submit personal information. We may also collect information on how you use this Site, such as resources browsed, searched and downloaded; the frequency and duration of visits, and your source Internet Protocol (“IP”) address. This is information that may be used to identify you as an individual, such as your e-mail address, name, home or work address, or telephone number. We may collect this information in a number of ways on this Site, including, but not limited to, the on-line Contact form, the newsletter subscription form, the comments area of any post on the site, sign-up forms to request information or services, and email messages to any rollerderbyathletics.com email address. To process transactions, and/or send you information and updates pertaining to your order, account or billing matters. To administer and deliver the content you have requested or purchased, including by creating a profile on our mobile training app, on your behalf, using the information you have provided to us. To send occasional company news, updates, related product or service information, sales, marketing, and administrative information. To personalize web content where applicable. To contact you when we have major functional changes to this Site, when we have added access privileges to your account, or when you initiate a task on this Site, such as find a password. In cases where we need to disclose web usage reports to non-Rolla Skate Club subsidiaries or affiliates, your personal information will remain anonymous. We offer the use of a secure server. All supplied sensitive/credit information is transmitted via Secure Socket Layer (SSL) technology and then encrypted into our Payment gateway providers database only to be accessible by those authorized with special access rights to such systems, and are required to keep the information confidential. After a transaction, your private financial information (credit cards, etc.) will not be stored on our servers and is not accessible by us. This Site contains links to other Web sites. Please be aware that Rolla Skate Club is not responsible for the privacy practices of other sites. We encourage our users to be aware that when they leave this Site to read the privacy policies of each and every Web site that collects personal identifiable information. This website is owned and operated by Rolla Skate Club.